As a second year coordinator, it is really amazing to compare my first versus my second school year. During the first, I was the new kid at school. I was constantly introducing myself to someone new every day, making wrong turns, and getting lost. Now during my second year, while I am still meeting someone new everyday (and occasionally still making wrong turns), it is the year where everything I did and everyone I met the year before all get tied together. At the end of this month, I will be hosting my first ever Health Fair! 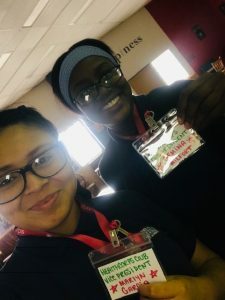 I was so inspired by the Health Fairs that the other Coordinators organized last year in their own schools and I wish I could have attended them all. I admired them all from afar and I could not wait until I had the opportunity to host one of my own. 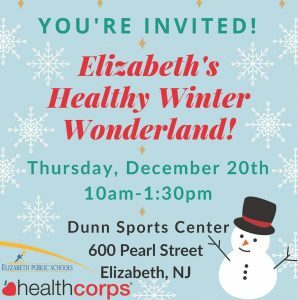 This idea for a Winter Health Fair struck me back in August, which must have been because I was overheating somewhere and dreaming of colder weather. It was then I decided I was going to organize a “Healthy Winter Wonderland” to be held in December right before school is let out for the highly anticipated Winter Break. I do not have a background in Event Planning whatsoever; unless you count the birthday party I threw for my mom for a milestone age that I am not allowed to reveal. With over a thousand students and two hundred staff members in both of my schools, my Health Fair is expected to have over two thousand students along with four hundred staff in attendance. This was going to take a lot more time and manpower than a birthday party. As soon as the school year began, the idea of the Winter Health Fair was pitched, and the planning began! As I started to promote this event more and more, the response from not only the school, but also the community was incredible. As of now I have approximately fifteen health and wellness community organizations that will be hosting a booth at my event and be able to share their resources with the students. Forming my team of student leaders was next, and I began to hold my HealthCorps Club once a week after school. Students that had been a part of my club last year returned, as well as new students I had never met before. 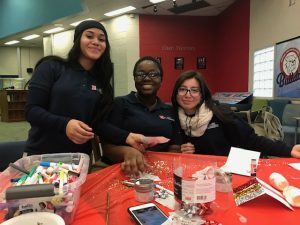 Each of them will be hosting their own booth at the event and this will give them the opportunity to really be empowered and engaged with their peers. They will cover topics on Nutrition, Physical Fitness, and Mental Resilience through a variety of fun activities and exercises. As I eagerly await for December 20th, what I am most excited about is having almost every individual that has supported myself and HealthCorps from inside and outside the school together in one room (or in this case, gym). 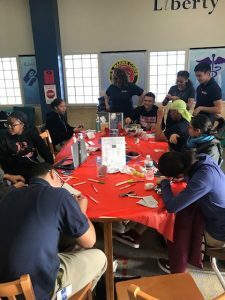 To be able to have such like-minded individuals all with different backgrounds and areas of expertise willing to come together to make an impact on these students and their school says wonders about the Elizabeth community. This event will really be an opportunity to showcase them, and how much good they do for the school and community. I predict my mission to promote health and wellness in an engaging, accessible, welcoming, and most importantly FUN way will be achieved, and I cannot wait to see everything get tied together.